The definition of the best mattress is different from sleeper to the sleeper. It is an individual’s subjective definition. Some rely on its materials, meanwhile, others rely on its feel. To me, the definition for the best mattress has to cover these things: being well-constructed, comfort, support, no heat retention, and safety. Let’s discuss closer to this! Recently, I published the best pillow review, you can refer to it if you need a pillow. Each individual has a unique body type, weight, sleeping position, and preferences. These lead to “no similar answer” for all when comes to choosing the best mattress. Along these things, medical conditions like neck pain or back pain also matter as well to some. In addition, there some may be very picky in choosing the look of the mattress. Want to see how I test, review, and score mattresses? Click here to jump to the mattress review process. Also, if you’re ready to dive into some serious comparisons, head over the Sidesleeperreviews’s mattress comparison tool. One more thing, do not forget to use mattress coupons & promo code before deciding to buy them. Below is our complete list of the best mattress, which we break down by various types, brands, materials, feels, pricing, and more. If you have specific needs or desires you’re looking for in a mattress this is a great place to start your mattress search. Choosing a mattress is really difficult for everyone when there are too many brands on the market. Below, we will summarize the top list of the best mattress brands on the market, hope you will choose a mattress suited for your needs. You can see our review about the mattress brand below. 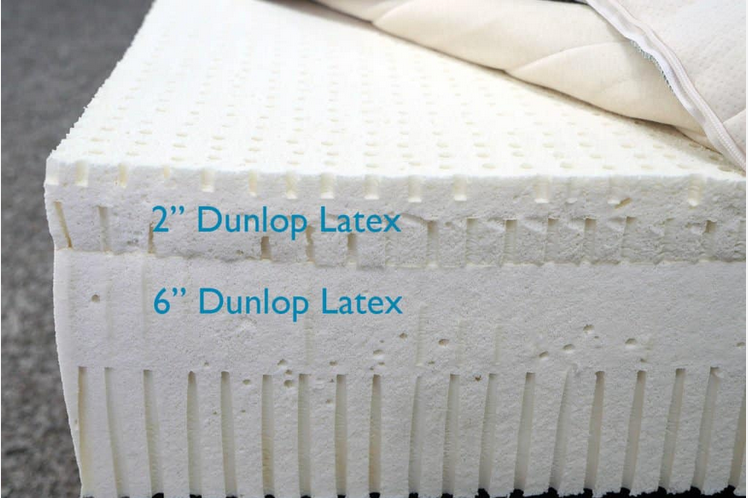 The following mattresses utilize a layer design that includes different types of foam, memory foam, latex, elastic polymers, and other materials. Generally speaking, this gives them greater response and more of a balanced feel, hug, and contour. The following mattresses utilize memory foam as the primary comfort layer. This gives them slower response with a more pronounced level of hug, contour, and pressure relief. The following mattresses are constructed from a combination of springs and foam. This gives them greater cooling, bounce, response, edge support, and a more traditional feel. The following mattresses utilize latex as the primary comfort layer. This gives them greater response, bounce, and cooling, in addition to a more balanced and generalized type of hug and contour. How Many Types of Materials to Make the Mattress? Memory foam mattresses are very popular in the market due to many reasons. 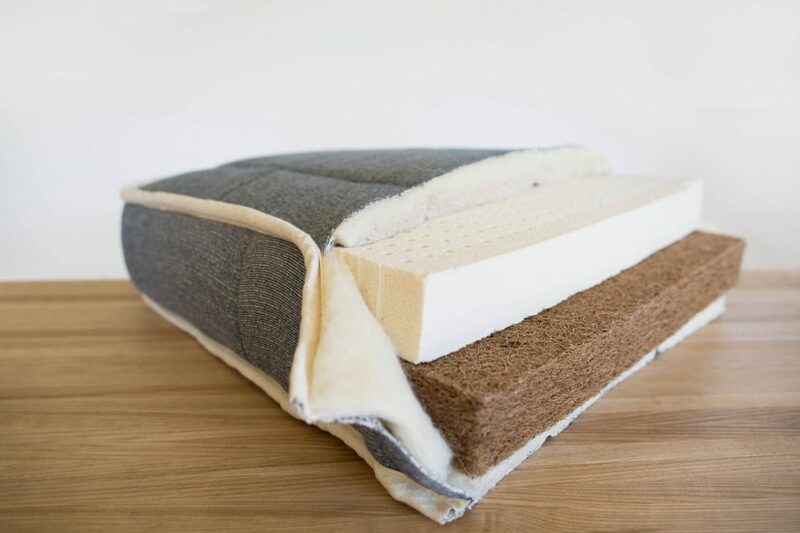 Back to its origin, the memory foam was first created for making the material of aircraft seats for NASA in the 1970s and then more popularly used in mattress industry since 1990. 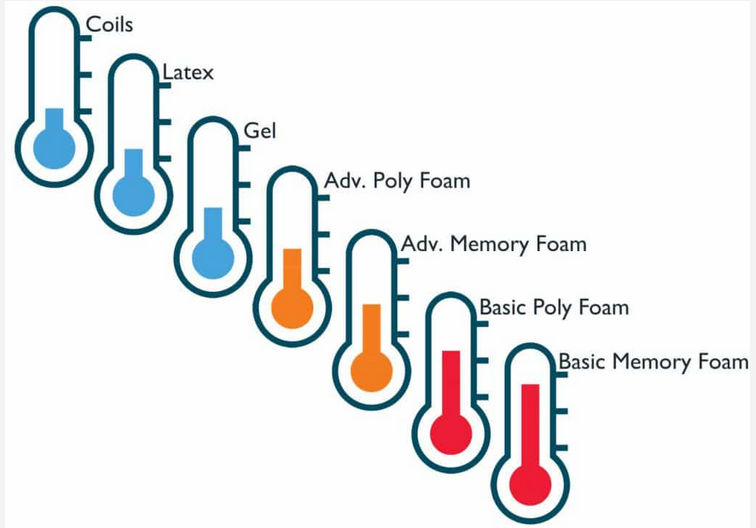 Memory foam changes its shape when applying heat and pressures, and it spreads weight evenly across the surface. After the pressures are taken away, it returns its normal shape. What does the overall feel of memory foam mattresses offer? Good body-contour and great deep compression support and pressure relief are things sleepers can feel from memory foam mattresses. The viscoelastic properties of memory foam allow your body to sink into the material, slowly contouring to your unique shape. Viscoelastic foam is made from polyurethane by adding chemicals to enhance its density and viscosity. This means viscoelastic foam mattresses will be better at providing deep compression support and hug feel than polyurethane mattresses. Due to higher density, memory foam will be more durable than poly foam. In contrast, viscoelastic foam mattresses have higher tendency to absorb and retain it, causing warm feeling for sleepers during the night. However, if comparing to other types of mattress, memory foam without gel-infusion also has higher tendency to produce warm feeling for sleepers. Lastly, all memory foam is made from poly foam, but not all polyfoam can be called memory foam. It is the viscoelastic properties that make a memory foam. Polyurethane foam without viscoelastic properties is not a memory foam. Cooling feel in mattress plays an importance similarly to great support. This helps improve sleep and prevent sweating and waking up in the middle of the night. Generally, hot sleepers would take this issue as the most important feature to consider when choosing the best mattresses. When mentioning about the cooling mattresses, it means, mentioning mattresses that are designed to be cooler for sleepers. Each company used different methods to solve this problem. To rate the level of the cooling feel of different types of mattresses, the cooling feel is generally ordered as follows, from most cool to least cool. Coils, Latex, gel, advanced poly foams, advanced memory foams, basic poly foams, and basic memory foams. The innerspring mattress is designed with a dense layer of metal spring coils in varying gauges and density to provide support and comfort. The design of innerspring mattresses can come with an encasement foam on the top and sides of the mattress to protect the coils and provide an added comfort layer on the top. In addition, the thicker the gauge of metal is used, the firmer feel the mattress will offer. 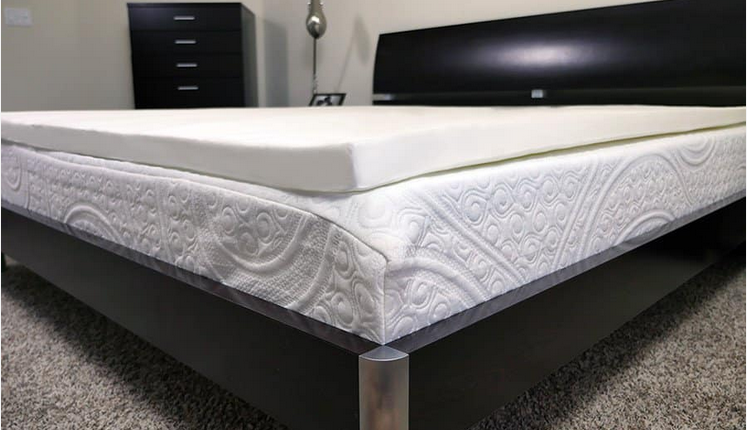 When choosing an innerspring mattress, there are several things to consider, including the type of coil used, the gauge of the coil, how many are used, and how the coils connect to each other. These will determine how firm the mattress is, and its support and comfort can provide. Latex mattresses are made up of natural latex, synthetic latex, or a blend of the two. Each type provides unique features. Natural latex is very natural due to making from raw tree sap. Meanwhile, synthetic latex is made by blending a man-made rubber polymer with natural tree sap (rubber tree). In terms of feel, in general, latex mattresses are well-known for good deep compression, great contour, very pronounced bounce and quick responsiveness. As compared to memory foam mattresses, they are also better at improving breathability and help sleepers feel cooler. In addition, the natural latex has slighter smell than synthetic latex, which you may need to consider when choosing the best latex mattress. The soft mattresses can provide more pronounced contour and hug to support along the curves of the body. Hence, your body is allowed to sink further down into the mattress and has the nice feel off from the mattress. In general, side sleepers and back sleepers are those who would prefer the softer mattresses, which range under 5 out of 10 on the firmness scale. Also, the definition of soft mattresses means the mattresses have the firmness range lie at under 5 level (where 10 is the firmness). What is Memory Foam Topper? Memory foam topper is a bedding accessory, which usually used to place on the top of a mattress for adjusting its firmness, in case the current firmness is not your desired level or not supportive to your body. Air mattress is the mattress that allows you to inflate by using a pump and deflate it when not in use. Due to this unique features, the air mattress is popularly used for camping and other outdoor activities. What is Natural Organic Mattress? Natural organic mattress means the mattress is designed by using the organic materials, leading it is healthier to human being and environment due to no harsh chemicals or toxins are used in the manufacturing process. Also, it contains no strong odors. This makes it ideal to use. However, not all natural organic mattresses are made of 100% organic materials top to bottom. This means the closer to 100% organic is ideal for our health. In contrast, it may not be ideal for our budget because the natural organic mattresses aren’t usually affordable. Obviously, the method of making construction and materials used are different from this mattress to that mattress, resulting from differences in comfort and support. However, what is so-called the best mattress can’t lack both of support and comfort. Comfort – Comfort is a feeling, and somewhat a subjective thing. It means it depends on much more on every individual’s preference. Some may prefer the very soft feel, while other love to firmer feels. When discussing the comfort of the mattress, it should come from these: First is cool feel and breathable, meaning the mattress doesn’t build up the heat while why lying. Second is having your preference of firmness. The third is the cushion that mattress offers. Support – Bear in mind that, the too soft material used for the mattress leads to your body sunk very far down into the mattress. You will feel you stuck in it rather than you are lying on it. The pretty firm mattress can help your body weight distributed evenly across the mattress’s surface. Furthermore, it allows your spine relaxed and have a proper back spine alignment. It would be missing when not discussing heat retention in the mattress when looking for the best mattress. It means this is the common problem happening in some certain materials like memory foam. This material acts as an insulator, which builds up the heat, resulting from sweating while sleeping. However, some brands use some innovative advanced methods to provide cool. 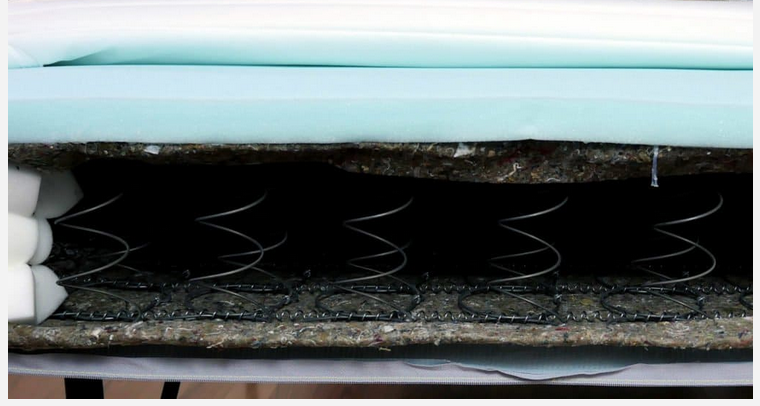 For instance, we can see the cooling gel layer found in Loom & Leaf mattress. Other solution for minimizing heat retention can come from the design for each layer of the mattress. As a comment I’ve read below an article, she said that both she and her husband got health issues when sleeping on their new mattress (she mentioned the name of that mattress, but let me keep it as my secret for not hurting that brand). Her flu just went away when she moved to another room to sleep. In addition, when having read a myriad of articles on the mattress, there are a lot of users asking about off-gassing and odors. This leads me to have a further research on off-gassing. The term “off-gassing” refers to gas forming in the materials used in making the mattress. Mostly it is found in memory foam materials. It occurs when “volatile organic compounds” (VOCs) breakdown, causing odors to release in the air. However, how does off-gassing affect your health? When users experience off-gassing issues, it can cause them difficult to breathe, headache, and nausea. What worse is the victims can get fever or flu when sleeping on the mattress. For off-gassing causes to cancer, it still needs many science-based studies to prove. Along with non-off-gassing, the mattress is considered to be safe to health when it contains no harmful chemicals used in the manufacturing process. For those being said, a mattress that is FDA approved should be the best mattress. Though some mattresses claim that they are suitable for all sleepers, they don’t truly exist. The fact is it is best used for a certain kind of sleepers or it is adapted to the vast majority of sleepers. For that reason, it is good to know which kind of sleeper you are and your preferences for firmness, coolness, and materials. Hence, to help you easier to choose the best mattress of your own one. Here are the recommendations for the best mattress, based on the analyses gathered from trustworthy sources. Relying on reputable brands for choosing the best mattress also helps. Why so? Normally, it takes a long time for a brand to gain trust from their customers. When a brand has been on the market for long, their products are widely known for quality. In addition, if any mattress-related health issues exist, you can know it easily. From those, we have minimized the risks of choosing a bad quality mattress, but it is better not to take this as our guarantee. There are many best mattress reviews out there. Each is a bit different in how they define the best mattress is. However, criteria to judge the best mattress won’t be too much different. It always consists comfort and support as for overall requirements. When to choosing your best mattress, you should also need to dig deep into each company’s policies for custom services including warranty, return & refund, and trial period.